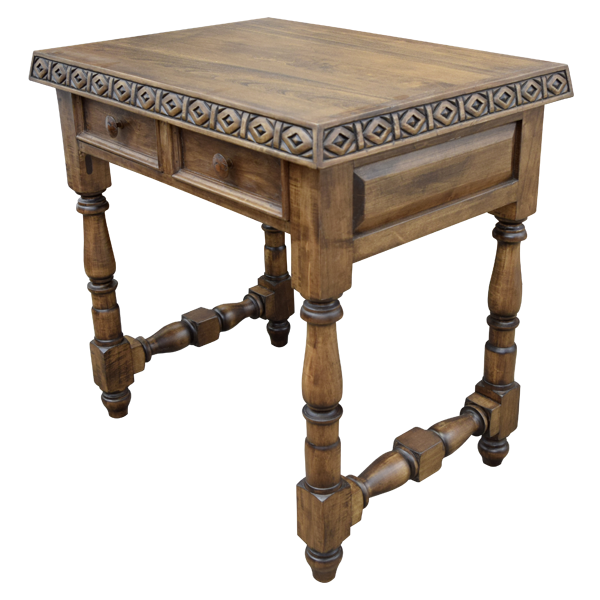 Complement your living room or bedroom with the exquisite details of this handcrafted, writing desk. 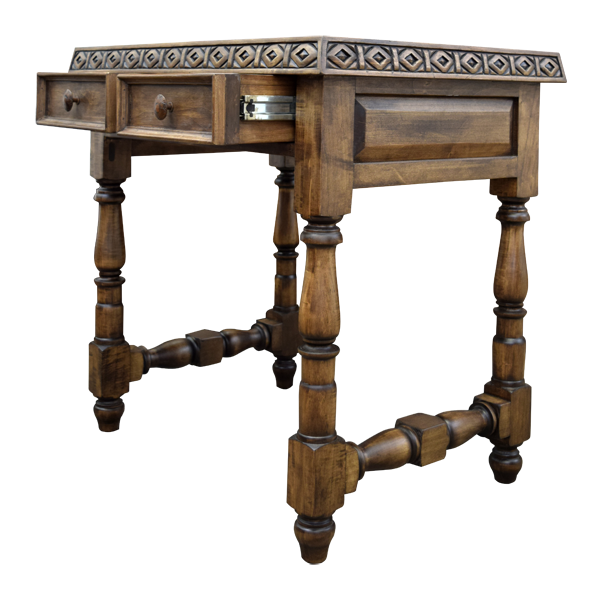 The desk has an open rectangular top with a classic, straight top rim. The top rim is adorned with flawless, hand carved, geometric designs. 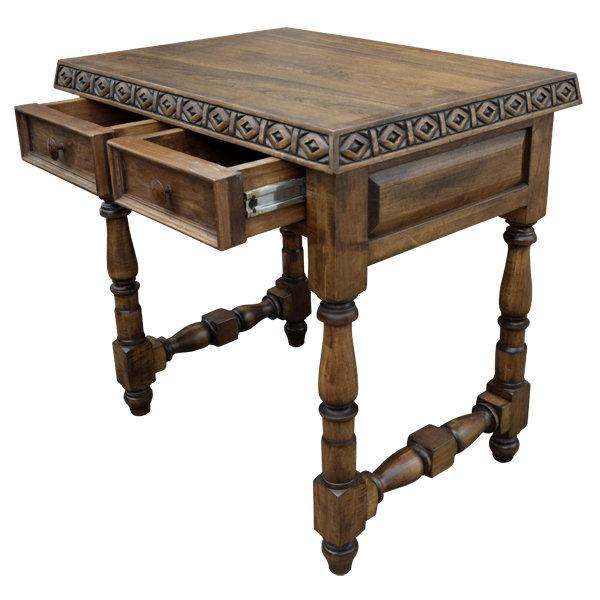 Below the top rim are two, rectangular drawers, and each drawer has a hand forged, iron handle in its center. Each side has a rectangular cut panel. 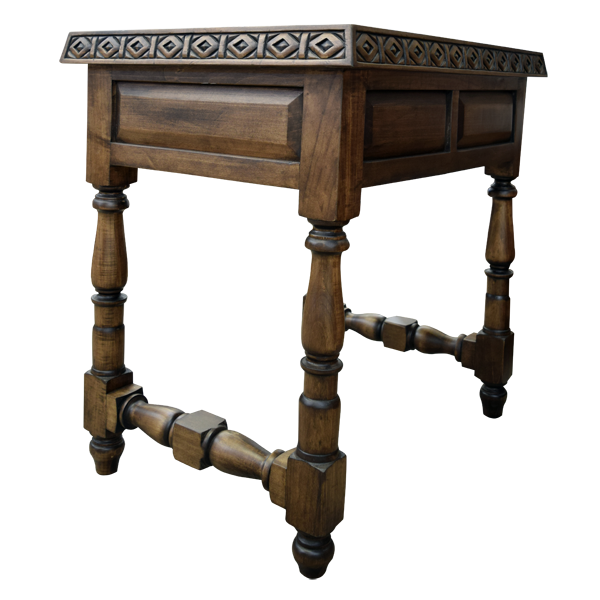 The desk is supported by beautiful, hand turned, solid wood legs with tapered feet, and the legs are connected by sturdy, hand turned crossbars. 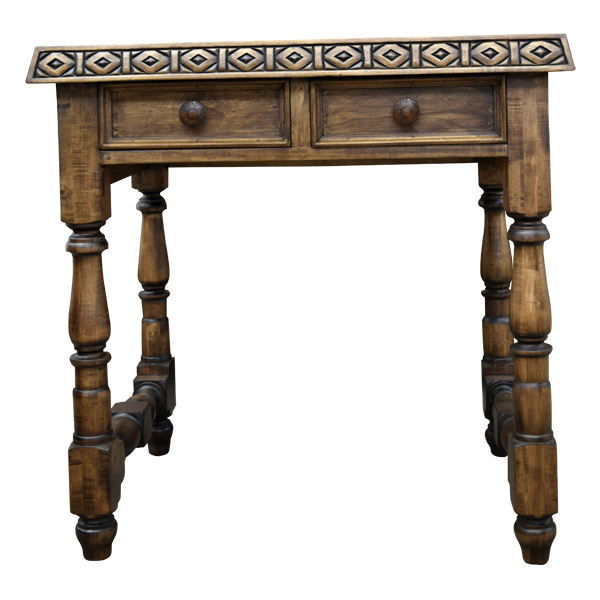 Finished with a lovely, antique stain, the desk is made with the best, sustainable, solid wood available. It is 100% customizable.